Brownie came from a hoarder situation, the owners had about 80 dogs. Surprisingly, she is in pretty good health, very sociable and lovable. She is scheduled to be spayed soon and will be ready for her new home. 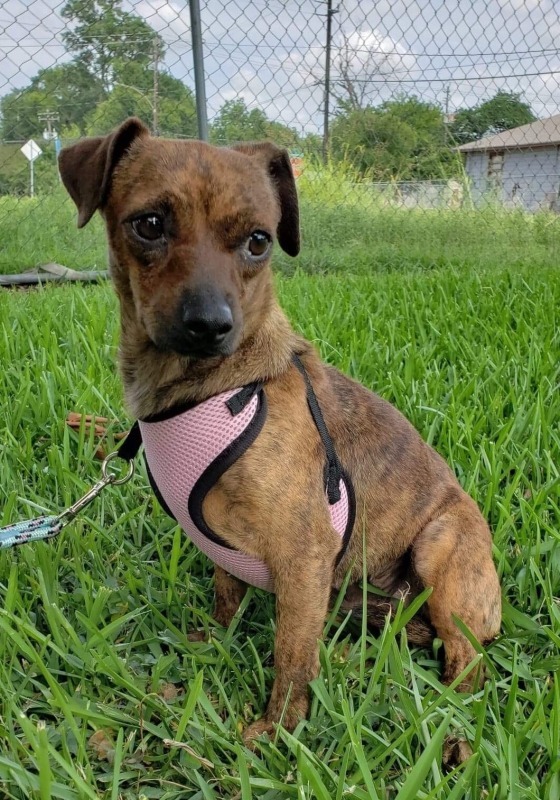 Brownie is great with other dogs and people, even respectful children. She loves to give kisses and get her belly rubbed. She is energetic and would love an active adopter to take her for long walks or run with her in the back yard. She is shy at first meeting but warms quickly. She is puppy pad trained and we are working on house breaking. 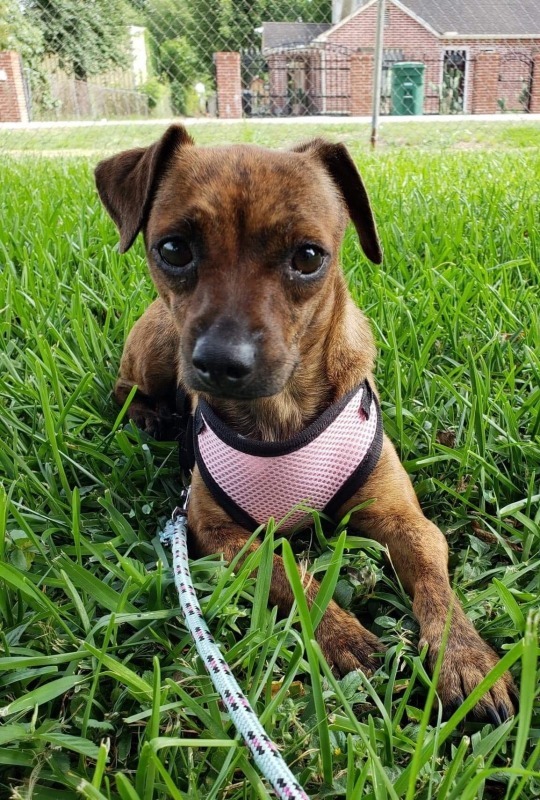 I believe she is a chi-weenie (doxie mixed with chihuahua) but we don't know for sure. What we DO know is that she is really sweet and deserves to be spoiled in her new forever home. She has lacked individual attention her entire life and now we plan to find her a home where she will be the center of attention. 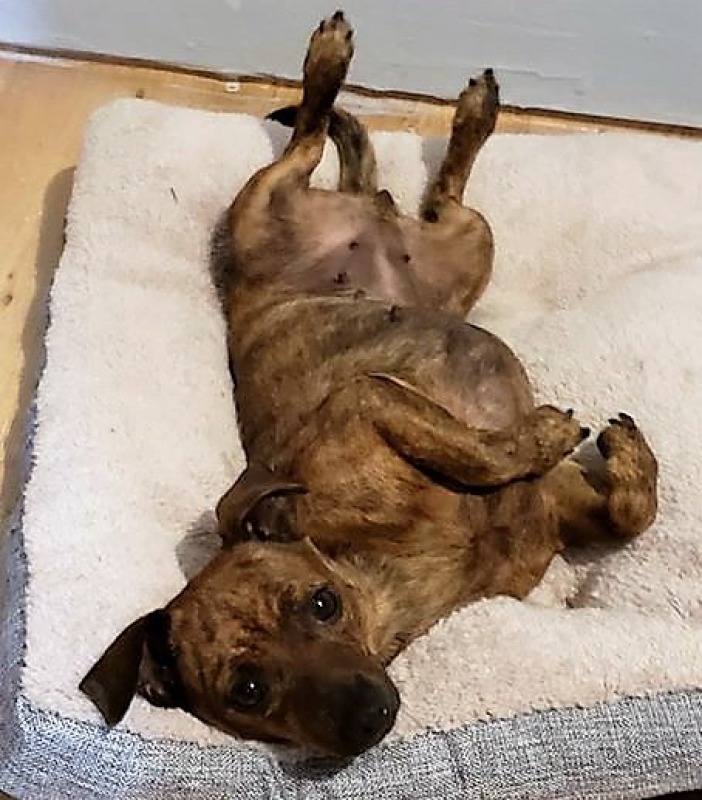 Must be willing to drive to Laurel, MD to meet/adopt Brownie.